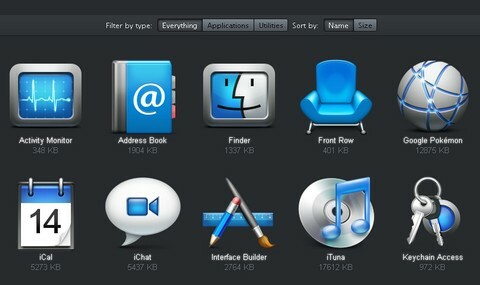 We love Mac apps, especially for their attention to detail. CoreAnimation makes it so easy to create useful and eye-pleasing effects. Quicksand aims at providing a similar experience for users on the web. It can reorder and filter items with a nice shuffling animation. At the very basic level, Quicksand replaces one collection of items with another. All you need to do is provide those two sets of items. Advanced demonstrations include custom jQuery code to achieve some of the goals, like sorting or making Ajax calls. This code can be copied and used freely, but it’s not part of the plugin. That is cool. I shall most certainly be using this. It’s cool but I don’t like using non-standard HTML like this requires. I’m sure that the author could’ve come up with something better than using ‘data-id’ as a new attribute. @Ian very true why not just use id instead of data-id. Still I love the effect, I will have to check this out to see how hard it would be to change it to ID in the code. It is a standard attribute in HTML 5, mainly intended for local storage, that can be utilized by scripts. Have a look here – http://www.w3.org/TR/html5/dom.html#custom-data-attribute – or just google for “html 5 data- attribute”.